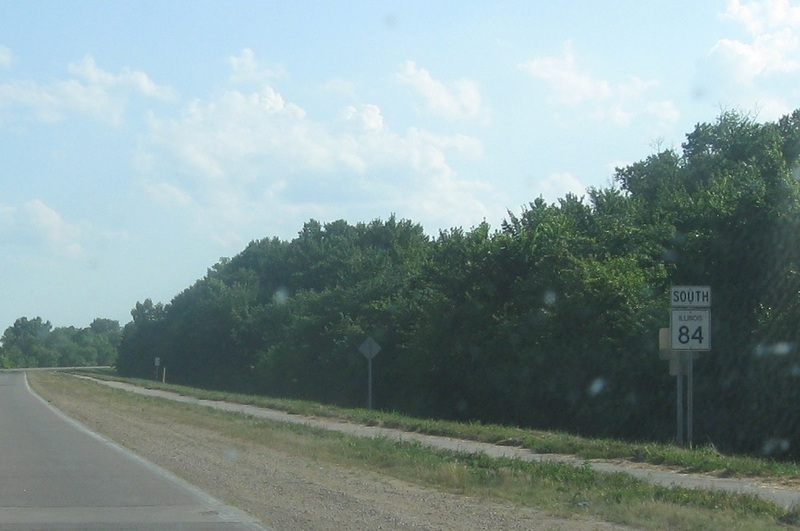 Reassurance shield after the US-30 junction as we head out of the Fulton area. 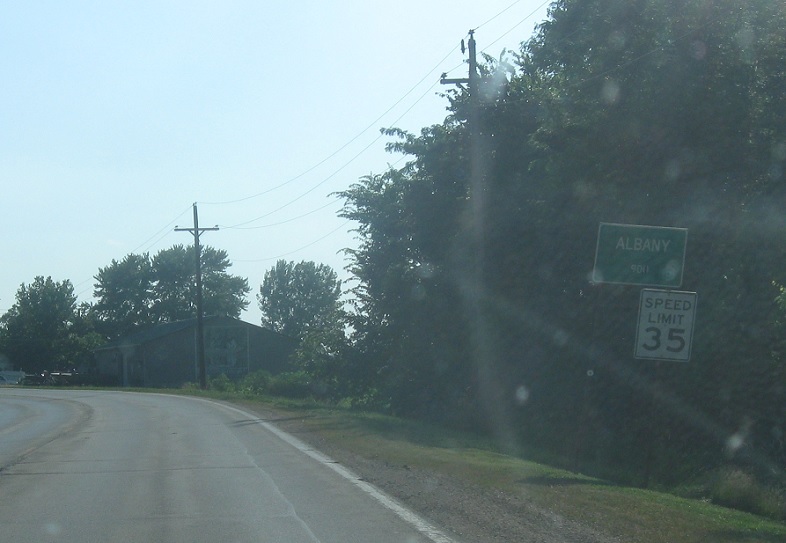 A couple miles later, we’ll enter Albany. Reassurance shield as we pass through Albany. Reassurance shield as we head out of Albany. 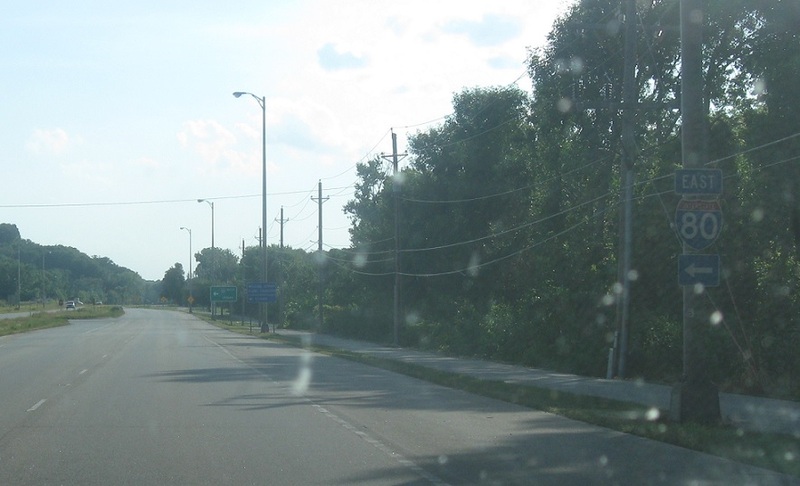 Less than a mile later, we’ll get a reassurance shield as we enter Rock Island County. A couple miles later, we’ll enter Cordova. 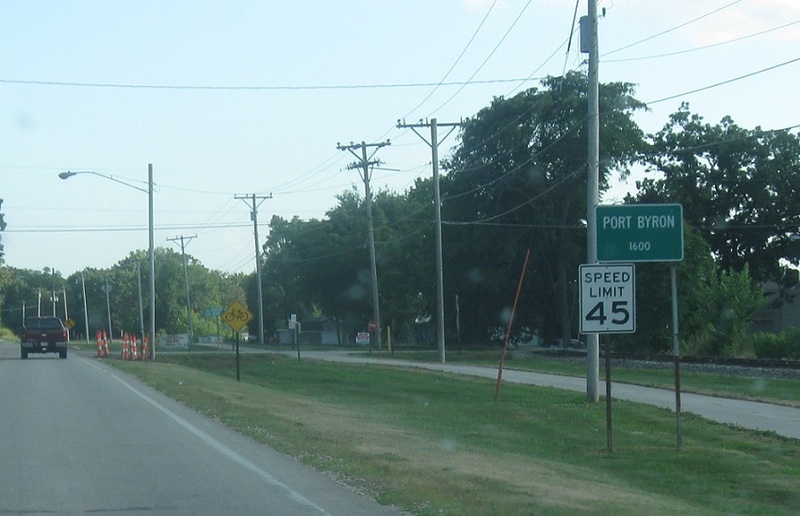 A couple miles later, we’ll enter Port Byron. Reassurance shield as we head out of Port Byron. 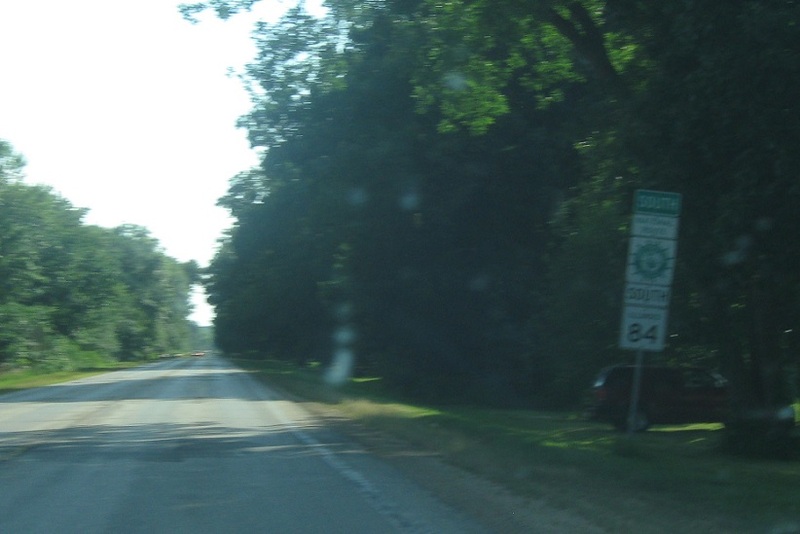 A couple miles later, we’ll enter Rapids City. 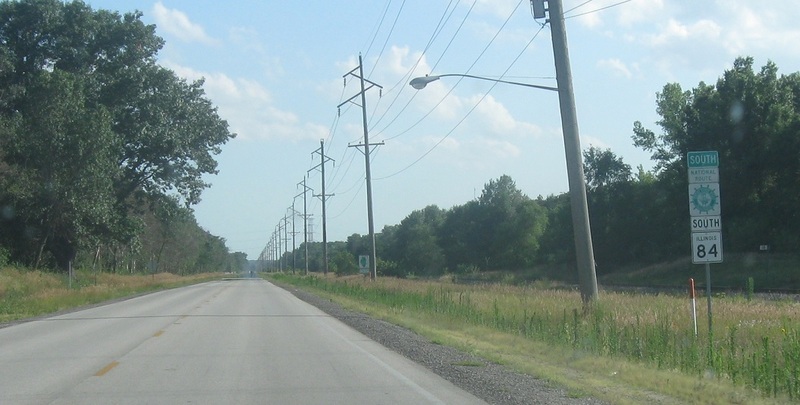 As we head out of Rapids City, we’ll come to a junction with Interstate 80. 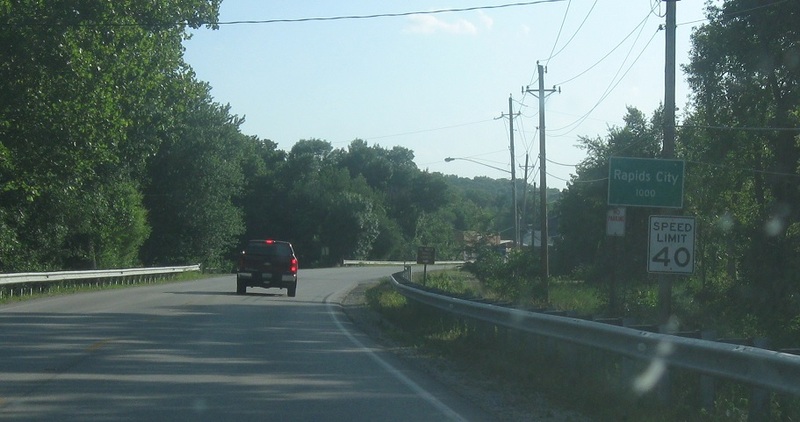 Up ahead, turn left for I-80 west. 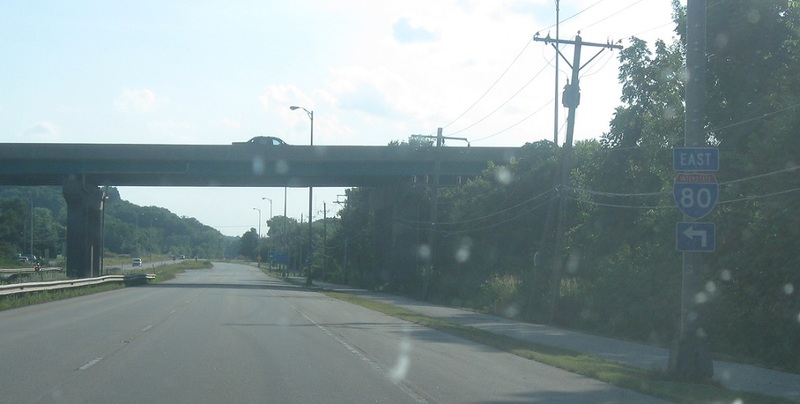 I-80 West heads over a narrow bridge into Iowa. 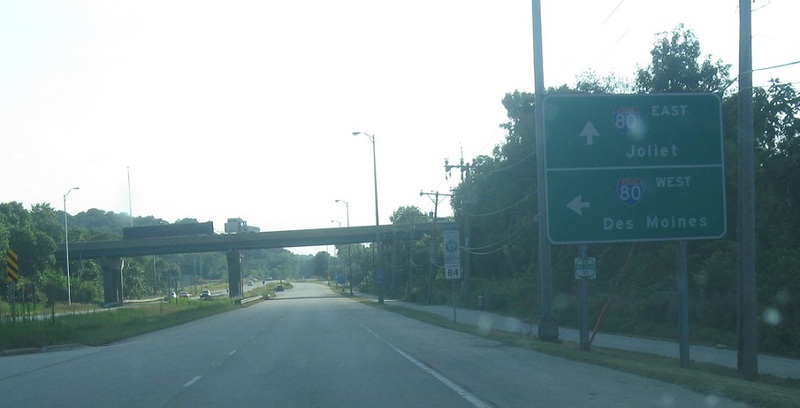 Turn left for I-80 west to Des Moines, Iowa. 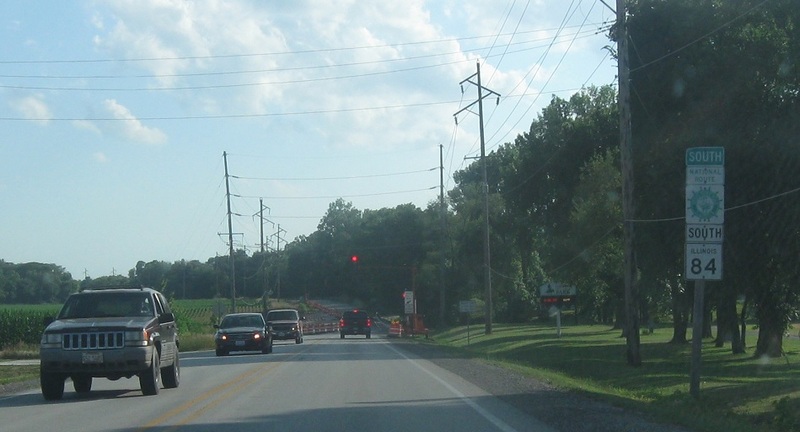 Reassurance shield after the I-80 west turn. 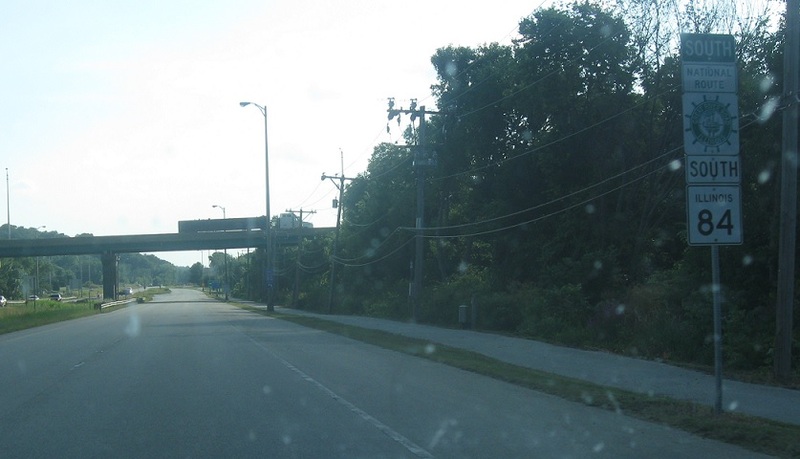 Just beyond that, turn left for I-80 east. 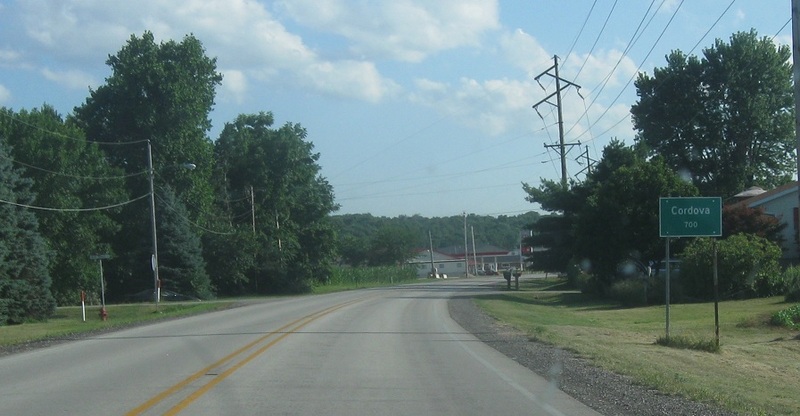 Turn left for I-80 east. 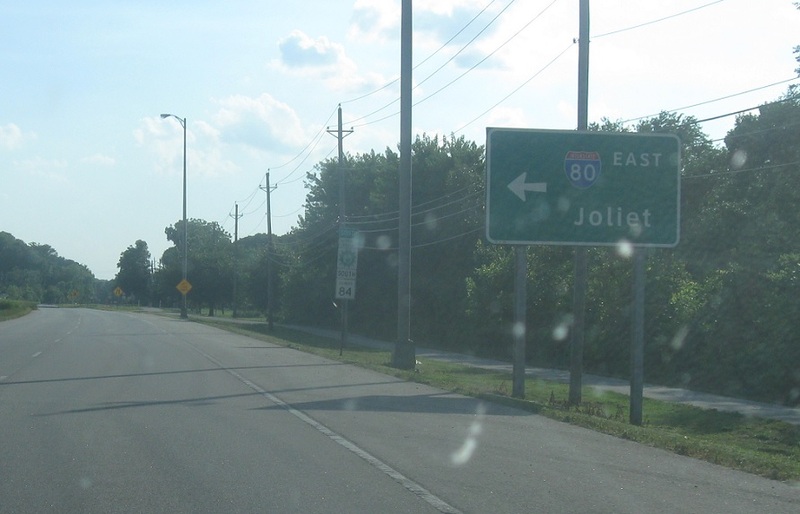 Follow 80 east to Joliet.